I sit here in my psychiatrist's office, waiting. The black and yellow fish in the aquarium keep giving me secret messages and the voices in my head are constantly telling me I'm a low-life not worthy of living. Oh gawd, the damn fish is talking to me again! Doc won't be happy with me because I won't take my meds. But, I hate them. They make me feel worse. The voices tell me not to take them or they'll kill me. Oh God it hurts so much to be confused! I'm so confused. Should I tell the doc about the messages from the black and yellow fish? Hell no, he'll think I'm crazy. I don't want him to think I'm crazy. Everyone else thinks I'm crazy because I hear voices. I wish the voices would stop being mean to me. I wish they would just be nice. Thank you to Sonya O. for loaning us the photo for our prompt this week. 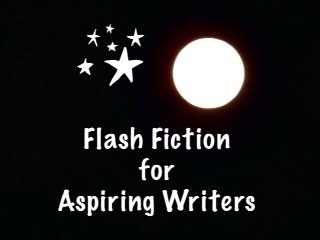 This is my submission for the challenge, Flash Fiction for Aspiring Writers. We are given a prompt photo and between 75-175 words with which to write our stories. This challenge is open to all who would like to participate. To find out more, please click on this link FFfAW. Talking fish, I like this start for fiction, I wonder what they would say to other people? Lots of directions to take this idea. Thanks! This poor person has Schizophrenia. You’re thinking of an animated story, right? No, this story is sad. The person has Schizophrenia. I am sorry I did not understand your story, I thought this was a writing prompt to start a long story, now I have read your next post and I understand this is the whole story, a short fiction, yes it is very sad to have Schizophrenia, my brother has this disease. You don’t need to apologize. I understand completely. I’m sorry to hear about your brother. I truly hope for the best for him. I use to have severe depression. It took me to the brink of this disease, so I understand how traumatic it is. It is so important to take the meds and so many don’t because of what I wrote in my story. so sad….. my heart goes out to those that suffer this awful disease. Yes, the talking fish and voices do make psychiatrists and psychologists lots of money. The psychiatrist probably has the fish tank in his office to sooth his patients, and here this poor person is getting the worst of it. Nicely written, Joy! Thank you Loretta! I completely agree with you about the fish aquarium being something that is suppose to be soothing. A difficult situation for your character to be in. Maybe she would be happier if she told the doctor how the medications made her feel and that she is hearing things but they need to explore other medications, not ones that make her feel worse. That’s very true Mandi! She should trust her psychiatrist more and open up to him/her. That way they can deal with the negative feelings she/he is having with taking those particular meds. Thank you!! Well done Joy this is a serious issue for some people. Can I so bold as to point out a typo…in the second sentence ‘keeps’ should be ‘keep’…. Thank you Michael! You are welcome to correct me when I do something wrong on my stories. I fixed it Michael. Thank you! Nice take on the prompt Joy. The voices come from within and I think hearing a fish talking would be quite natural when your sitting there watching it. I agree with the advice to trust your doctor, after all, that is why a person goes to the doctor and unless he , or she knows what you are experiencing your treatment may not be as affective as it should be. The right meds are very important. Thank you Jessie. I agree with you 100%. You have captured the inside mind of mental illness so well. It is sad that the very people who need those meds, are the ones less likely to take them. I understand about the hold of depression, and the way it twists voices heard inside and out. A sad read lovingly told. Thank you so much Phylor! I really appreciate your comment. It’s not rare for me to find a sad mental illness story, but you managed to turn it from depressing into nice, happy one without missing the sad part. This is, in lack of a better word, an awesome piece. Thank you so much! I really appreciate you reading and your comment. Thank you! I’m so glad you liked it. True! That would make that illness a little easier to live with! What happens when you talk back in a nice polite way? Won’t they stop pulling you down? Make them feel positive! That is true but people that are mentally ill are not able to do this. Also very true! That’s they way they do it! We would eat that one first! I hate rude voices! All mine are friendly and positive. I am blessed that way. That is wonderful Dawn! For most people with schizophrenia, this isn’t the case. They don’t have positive voices talking to them. So sad. Again, i am very lucky. Sad story with a good message meds are important. The last two lines are so powerful – I feel for your character. Thank you Sonya! It is a great photo and I appreciate you sending me some photos for prompts. This was a fun photo to write a story for, although my story wasn’t really a fun one. Are you trying to make fun of me? :p This story has me laughing! Wrong post to the wrong story, ack, sorry! This was very sad. I’m glad you are laughing! No, I am not trying to make fun of anyone. Really! LOL!! Lol. Right from the first line I had a bad feeling about the fish 😀 Funny stuff! Haha! Yes, that fish was some spy from Russia. LOL! oh, I love it! How confusing to have voices in your head AND have the fish telling you things. I would think it would be very confusing. Oh my gawd! Some of these comments have my in stitches 😛 I love the way you used and abused those poor fishies. I think the character should tell the doctor. Great take on a serious illness. A spooky story but you tell it in such an interesting way …. It’s such a painful realization and to think los of people actually suffer this .. Yes, it is sad that there are people that have to suffer with this illness. Thank you for your compliment! loved this PJ – it reminded me of the fish who lived at the dentist’s surgery in Finding Nemo! Thanks Jessie! It really reminds you of a scene in Finding Nemo? I didn’t see that movie. I’m sure it was really cute. I’d like to see it someday. What a wonderful glimpse of a situation! You’re right, this guy has schizophrenia, a terrible illness. Thank you for reading! 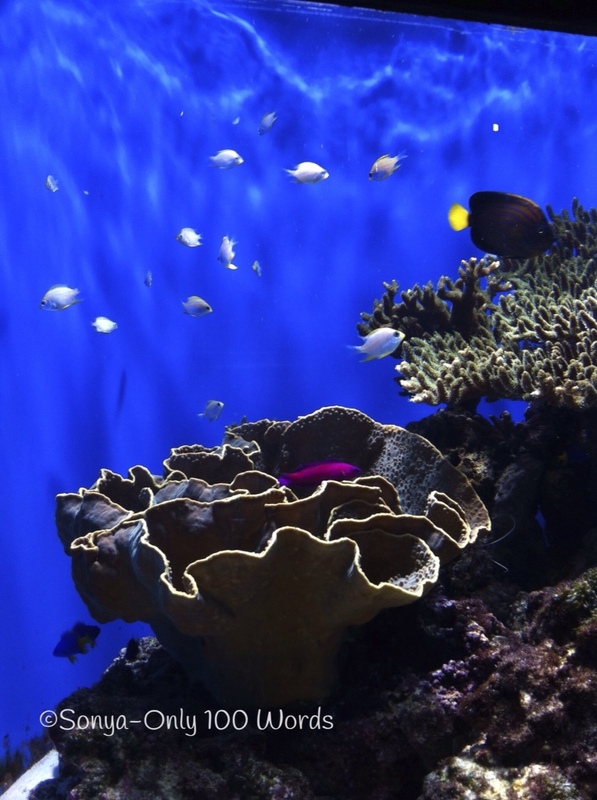 I have a fish tank in my classroom for the students to talk to…. Hopefully they are talking to the fish and not the tank, but one never knows? LOL! Hopefully they are talking to the fish. I think?? It is a very sad illness. I am sure it is, it has to be if someone is hearing voices. I feel sorry for anyone that has this illness. (And for their families too). I get psychosis (hearing voices) with my depression sometimes.. it’s scary.. I can only imagine those who hear them all the time.. it would be maddening! When I was going through my severe depression I would hallucinate but not hear voices and I know how scary that is! I’m sorry you have to experience that Lori. I hope they can find a medication that will completely stop it for you.